Tokyo law enforcement suspect a 16-year-old boy traded online uranium and processed it into uranium ore, also known as yellowcake. But rather than trying to facilitate the creation of nuclear weapons, he may have just been really into chemistry. Japan Times reported that the Tokyo Metropolitan Police Department (MPD) said it is investigating the high schooler. The news outlet reviewed papers that the police department sent to prosecutors on Monday, which alleged that he made and processed the explosive compound erythritol tetranitrate last year. The teenager, whose name has not been released because he’s a minor, has been charged with violating the Explosives Control Law. The agency believes he could have also violated a nuclear reactor regulation law. 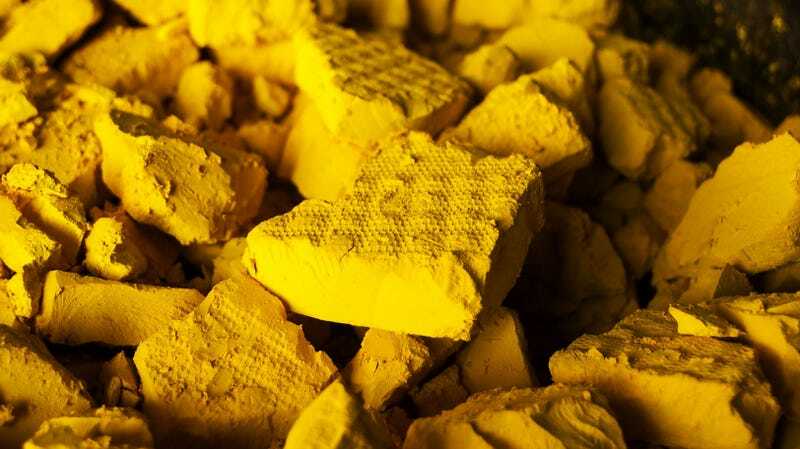 Yellowcake is a processed form of uranium that can be further processed for use as fuel in nuclear reactors or enriched for use in nuclear weapons. According to the South China Morning Post, the teen first drew the attention of authorities when he allegedly listed an item as “Uranium 99.9 per cent” on a Yahoo online auction site. The country’s Nuclear Regulation Authority alerted law enforcement of the auction in January 2018. Police determined it was real uranium and it was purchased by the teen. Agents found that the teen also listed yellowcake on an online auction, according to Japan Times. Japan News reported that authorities took yellowcake from the teen’s house, and the teen reportedly told MPD that he had bought uranium and processed it. His statements, along with the meager amount of uranium, reportedly led officers to believe the teen was a just really into chemistry and not a bomb-maker. But Japan Times reported that authorities found the teen had communicated through Twitter and the Line chat app with a Japanese 19-year-old who went to prison last month for making drugs, a gun, and an explosive. The 16-year-old was reportedly just one of several people whom the Nuclear Regulation Authority found to be purchasing uranium on the online auction site.